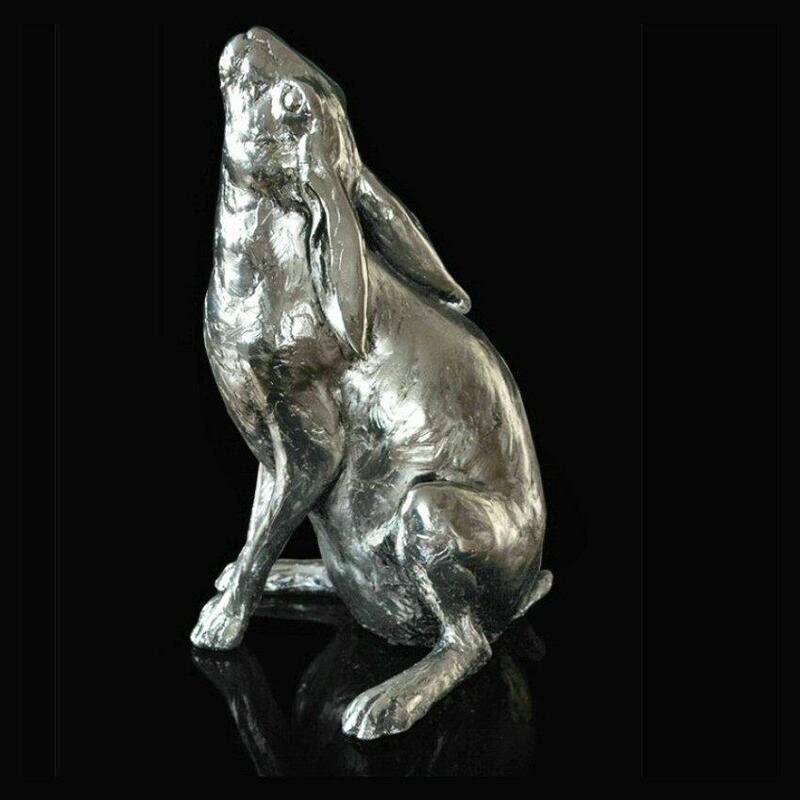 Beautiful sculpture of a hare gazing at the moon by acclaimed animal sculptor Michael Simpson. A substantial, solid, cold cast sculpture with a striking contemporary nickel plated finish. Supplied packed securely in a gift box. cold cast nickel resin, hand finished.